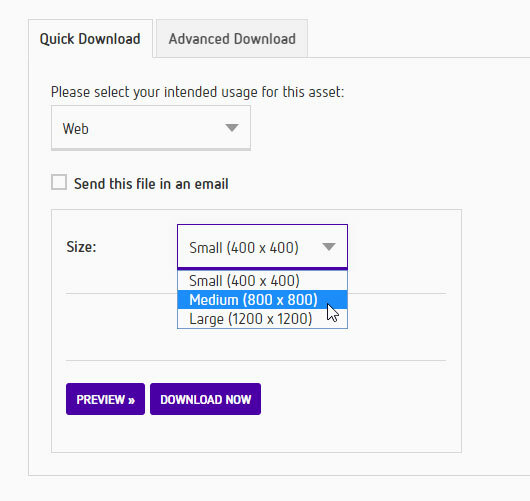 Powerful download options mean users can quickly download the file they need in the format they require. 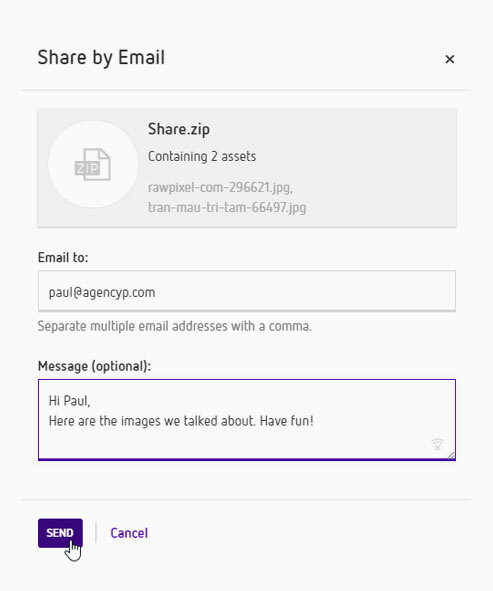 'Share' allows the user to quickly send links to files externally, regardless of file size. Asset Bank allows administrators to set up as many quick download pre-sets as they wish. 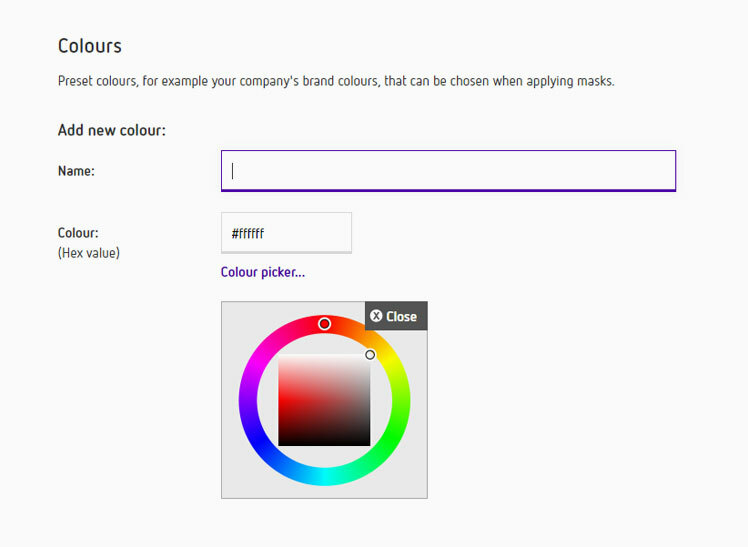 This then allows users to select an asset and have it converted to the appropriate dimensions, colour space and file format to match their needs. You can decide if users can access the Advanced Download page. Here they can: download the original, choose the file format (e.g. 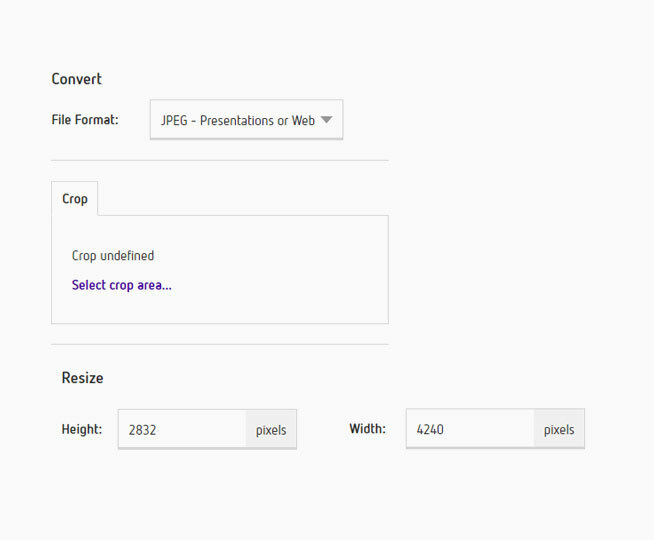 convert to JPG), select a crop area, re-size, change quality or rotate the file prior to downloading. 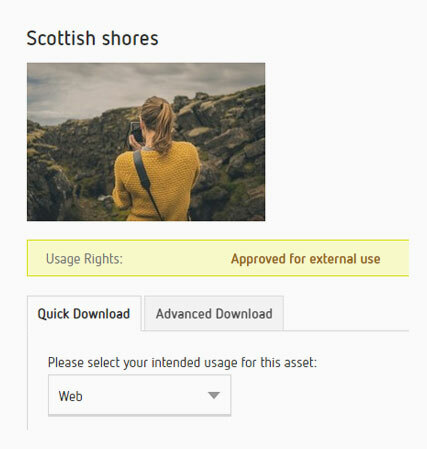 Users with download permission can optionally choose to share one or more assets externally. This saves time and ensures it is quick to push files to partner organisations, regardless of file size. The recipient receives a link to a branded page where they can download a zip containing the assets in question. Want rounded corners on your images, or maybe your company logo? Upload transparent PNG masks to the system and link these to a download preset. Users will then be able to overlay them on any image during the download process.